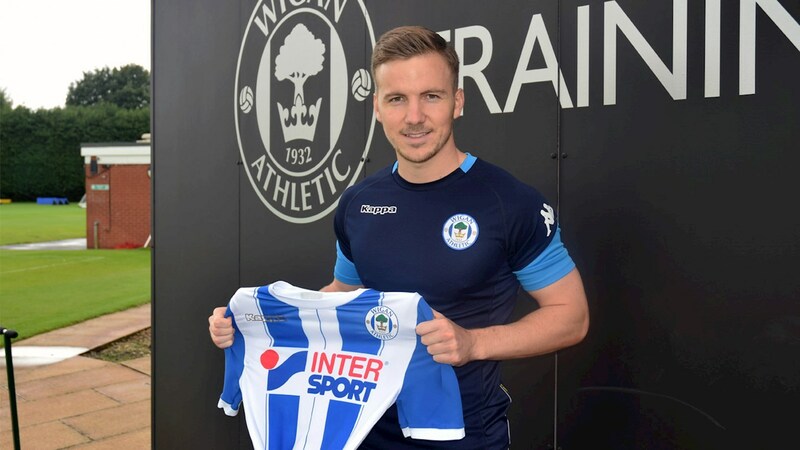 Wigan Athletic yesterday announced the signing of the 23-year-old Lee Evans from Wolverhampton Wanderers on a season-long loan. The 6 ft 1 in tall Welshman is a central midfield player. Lee Evans was born in Newport and made his debut for his home town club as a 17 year old in March 2012. shortly after he went on to play in the FA Trophy Final in which Newport County were beaten 2-0 by York City. The following season he had made 23 appearances in the Football Conference before being signed by Wolves in January 2013. Evans made his Football League debut for Wolves in August 2013, going on to make 28 appearances as the midland club went on to claim the League 1 title. In August 2015 he went to Bradford City on loan, making 41 appearances and scoring 4 goals. Evans has made 48 league starts for Wolves with 11 appearances as a substitute. He has made 13 appearances for Wales at U21 level. In order to learn more about Evans time at Bradford we contacted Bantams’ fan Stuart Black (@blackmeister). Lee Evans joined Bradford City on 20th August 2015 under Phil Parkinson. We had made a poor start to the season and were playing two defenders in central midfield in Tony McMahon and Chris Routis and quite frankly it was very weak. We took only 1 point from the first nine with defeats away at Swindon and at home to Gillingham and it was obvious to all that Central Midfield needed strengthening badly. When Evans joined on loan from Wolves at least we had a square peg in a square hole and immediately our fortunes turned around. In our first match we played away at a very good (and ultimately promoted) Barnsley and got a hard fought 0-0. We then picked up 8 points from the next 4 games to get us to 12th. Evans had a big hand in the fact that by the end of November we had risen from 22nd to 6th in the table. Evans has a lot of ability and can certainly find a pass. He has average pace but is physically strong albeit slightly reckless but will get you occasional goals. He is not bad in the air which you would expect at 6’1 tall and can take a good set piece. Bradford City hit a flat spot in November and drifted back towards mid table as Evans needed better quality next to him. That quality arrived in early February when City signed Josh Cullen on loan from West Ham. As a midfield pair they excelled and the team rose to 3rd in the league but ultimately failed in the play-offs when beaten by Millwall. Lee Evans scored 4 goals for us in 2015-16 from 35 appearances with 3 assists. He was only 21 at the time so should be stronger and wiser now. He got 9 yellow cards and 1 red in that same time but looks to have improved those figures in the Championship. I suspect most Bradford City fans would still like him in the team as we look rather weak as a squad at the moment as we look to rebuild following our late Wembley defeat once again against Millwall and the subsequent loss of some of our better players to other clubs. Best wishes for the new season to all Wigan supporters. ← The turnover continues: will Latics have a 20-goal striker this season?